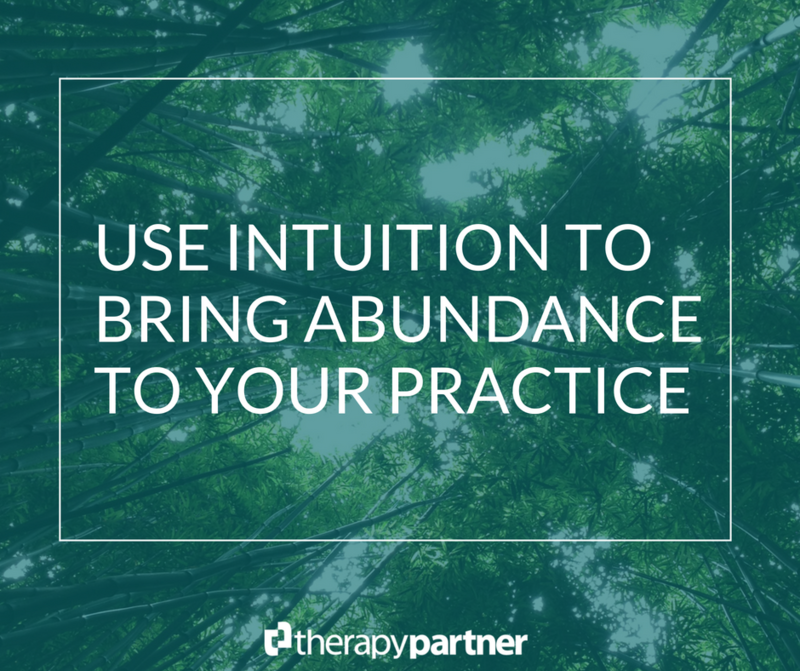 Wayne Dyer is famous for saying “Abundance is not something we acquire, it’s something we tune into.” Clinicians are pretty attune. We get called empathetic, intuitive, emotionally gifted, even witchy at times! Most therapists have a good understanding of how they ended up here with this unique set of skills. We certainly use these gifts with clients, and most often we are the people in our community that friends, and family seek out for emotional wisdom. Why then, do we pull the plug on using this intuitive emotional sensitivity to promote our expertise or services? Just when it comes to explaining what we do or helping those most in need to find us, we draw a blank. In the traditional business market, emotionally intuitive people are celebrated and highly utilized and often are in roles as CEO’s, Ad Executives, etc., In other words they help people to make money. Maybe you’re not going to write ads for Nike anytime soon, but perhaps you can give yourself permission to use your sense of how and when people need to hear information to inform your promotion of your practice. If you can’t do it for you, do it for prospective clients, because they are looking for you. Improve your bio, re-write your service offerings, write a welcome letter, send a referral card out doing what you already do best. The very best sales campaigns identify and solve other people’s problems, and let’s be honest you’ve made a career of that. Don’t be afraid to use it to help the public find your unique expertise and offerings. There is nothing ugly or dirty about simply helping someone to find help; in fact, it is a blessing that creates abundance and gratitude.